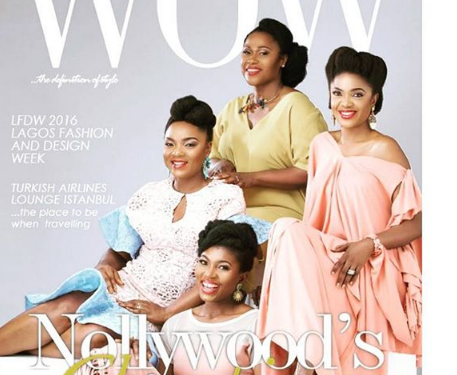 The top female cast of the movie “Wives on Strike” (Uche Jombo, Omoni Oboli, Ufuoma Mcdermott and Chioma Chukwuka Akpotha) are glowing on the cover of Wow Magazine. 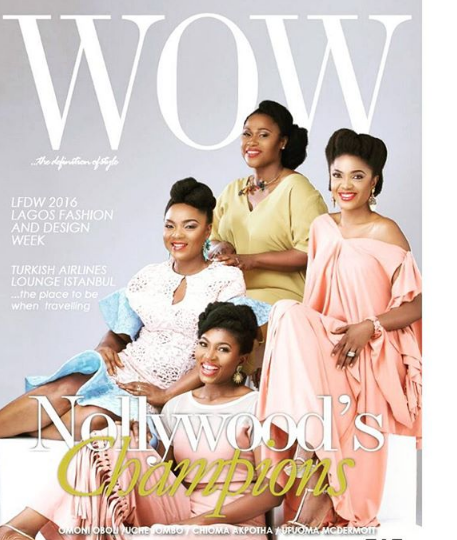 In the lastest edition of the magazine, the colleagues turn sisters are tagged Nollywood champions. The naturalistas who call themselves the “Fantastic Four” are looking radiant as always.